Thinking of a last-minute getaway during the February break? 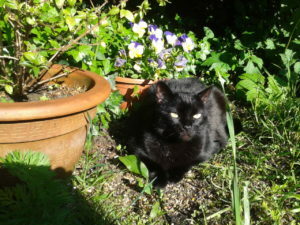 Bborden still has space to look after your cats and other small pets. It’s also not too soon to start making bookings for the May vacation, or even the summer! We are already fully booked from the middle of June through the first week in July. Please get in touch for exact availability! Sweeping your pet’s feeding and toilet areas is already included in the normal pet-sitting fees. But for only 5 euros more we will vacuum the main living area before your return. It’s especially nice to come back to a clean and hair-free space if you’ve been gone for a week or more. 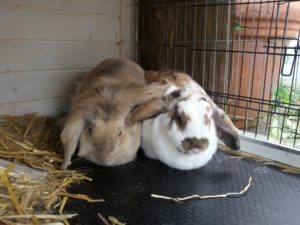 See the pet-sitting page for more extra services and get in touch for prices. 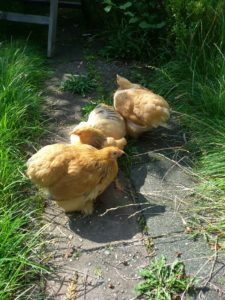 As well as caring for cats and kittens, Bborden also looks after rabbits and chickens! We will consider almost any small pets which can stay in your home. Price to be agreed. “I chose Barbara. Sympathetic (judging by her photo.) Singer, animal carer, she’s from America and translates from Dutch into English. All of this appealed to me. And she was trained as a personal organizer! You see, I was seeking help with unravelling the chaotic remains of my move from a large house to a much smaller apartment, 10 years ago(! ), and with my penchant for hanging on to (certain) books and other items. My choice of Barbara was dead on target. Thanks to her calm, non-judgmental, supportive guidance, I proved to be capable of selecting and deciding (what can go – to the dump or to recycling – and what I absolutely can’t be without), and devising new ways of storing and sorting. It proved an exhausting (and at times emotional) undertaking, resulting in great relief. If you’ve used my services I’d love for you to write a review or recommendation on my Facebook page!